Winter is coming … and so are the colds! Snotty noses, fevers and coughs can be really hard for babies and young kids (and their parents). So how do you avoid them? Here are our top tips for managing colds in your family this flu season. It’s upsetting to see your child struggling with a cold, particularly when they’re babies and can’t tell you they have a sore throat or that they feel awful. A bad cold can turn a wonderful sleeper into a terrible one, especially if your child is a thumb or dummy sucker and suddenly can’t breathe through their nose properly; so often a lot more night feeds, water or cuddles are required leading to a disruption in your sleep as well. Sick children of course can also mean no daycare or school,which can be problematic for those parents who work or have busy households. And before you know it the whole family is struck down and out for the count on a cycle of misery where before your child has even recovered from one cold they’re on to the next one. So what can you do? 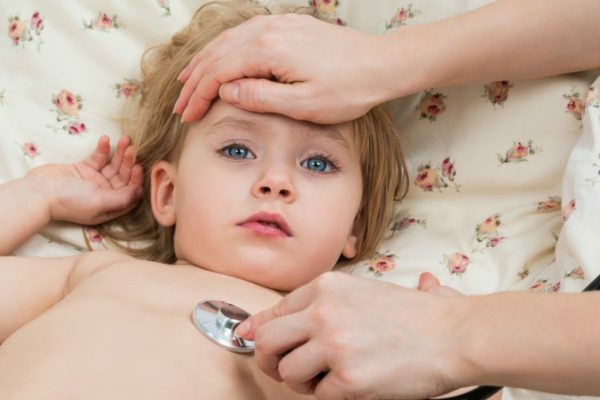 Can you prevent your child from catching a cold? Colds are unfortunately very common and very hard to avoid, particularly when children are young and in daycare. Dressing them warmly and keeping them away from sick friends and relatives are no-brainers, but what else? According to Dr Mark McGrath, a Brisbane-based GP, it’s the simple and common sense things that work – like hand-washing, wiping noses and washing hands after wiping noses. As a parent it can be hard to keep your tabs on this though and of course when they’re young it can also be quite difficult with most kids resisting every step of the way. Any other tips? “I would also be making sure that they’re eating a healthy diet, getting enough sleep and enough exercise,” he says. So by keeping them in top shape as much as possible you might find they don’t get affected as quickly. If your child has been hit with a dreaded cold then aside from lots of cuddles, getting rid of it fast is the main goal which is again is best done with old-fashioned methods like rest and keeping them hydrated. Some schools of thought now say you shouldn’t treat a fever unless it’s very high because it might be there for a purpose (like fighting the infection), however Dr. McGrath doesn’t personally advise that. “Paracetamol or an anti-inflammatory is helpful for reducing a fever and relieves discomfort. As an adult with a cold, if you take something you feel a lot better and the same goes for children.” Getting children to actually take medicine however can often be a struggle in itself, so don’t force it if they’re not willing. And in cases where children and parents are completely overwhelmed by sickness, he also advises to give children a week or so off from daycare or school (if at all possible) to let their immune system catch up and recover before they go back in. What about vitamins and probiotics? The same goes for probiotics, although he does say they may have some benefit after a course of antibiotics. Making sure they eat a healthy diverse diet though is really the best way to encourage healthy flora in their gut. The best thing that parents can do is apply their common sense and intuition and learn to recognise when their child is really unwell. Miserable and crying is usually okay, but when they get to the point where they’re not reactive and very lethargic then it could be a sign they need immediate medical assistance. Still not sure whether to head to the doctors or not? Dr. McGrath says parents should never worry about being over concerned. “You shouldn’t feel embarrassed about going to see a GP if it’s ‘just a virus’ because that’s what GPs are there for, to reassure and educate if it’s something minor and to alert you when there is something more serious,” he says. Are you dreading the cold season? What tips will your family use for avoiding snotty noses this winter?